Jose Agudo started his career in Andalusia where he began performing as a Flamenco dancer. Slowly the world of contemporary dance became more visible and he went to study at Centro Andaluz de Danza in Seville and at the Choreographic Center of Valencia. During this time Jose created work for Certamen Coreografico de Madrid and Certamen Coreografico de Andalucia, receiving awards both as a dancer and as a choreographer. 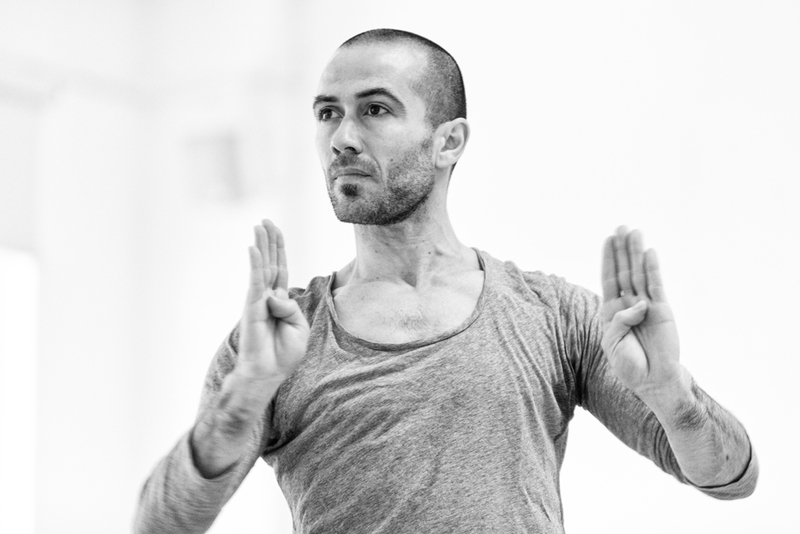 Since his departure from Spain, Jose has performed with Charleroi/Danses, Ballet de Marseille, T.R.A.S.H, Shobana Jeyasingh Dance and Akram Khan Company. In 2008/9 Jose was Artist in Residence at Deda, UK, where he created the piece 4m2. The piece toured internationally and was selected by the National Dance Network (NDN) to tour with Dance3, as one of the ‘next generation of dance makers’ in the UK. Recent choreographic commissions include; Re-staging of A Thousand Shepherds for Cape Dance Company (South Africa); Selah for ZfinMalta Dance Ensemble (National Company of Malta); the re-staging of KI for 16 male dancers at English National Ballet School (London); A Thousand Shepherds for ACE Dance and Music (Birmingham); Arctic for LCDS (London); Ki as a solo for Phoenix Dance Theatre (Leeds); and Time/Dropper, with the support of Deda and gDA. Jose is interested in the collaborative process, working with composers such as Scanner, Vincenzo Lamagna and Giuliano Modarelli; costume designers Kimie Nakano and Elisabeth Kinn Svensson; and dramaturg Lou Cope. Jose has worked for Akram Khan Company since 2011 collaborating as a rehearsal director and shadow for DESH; movement assistant and dancer for the 2012 London Olympic Games opening ceremony; assistant choreographer and dancer for iTMOi; and rehearsal director for TOROBAKA, Khan’s duet collaboration with Flamenco pioneer Israel Galvan. Roles for 2015 include rehearsal director of Khan’s solo for Sylvie Guillem’s farewell tour Life in Progress; assistant choreographer for Until the Lions; and the adaptation of Khan’s award winning solo DESH for young audiences entitled Chotto Desh. During 2016 he will be rehearsal director for Big Dance. In 2016 Jose will create Silk Road, his first full evening together with producer Assis Carreiro. And another full evening for Ace Dance and Music around the idea of Ten Strong will be premiered on the 3rd of November 2016. From 2016 to 2017 Jose will be Associate Artist with ZfinMalta Dance Ensemble.